 We do not use artificial preservatives, food dyes, aromas or additives. and services rendered by the local farmers. The ingredients in our products are monitored starting from the beginning. and water content is controlled. 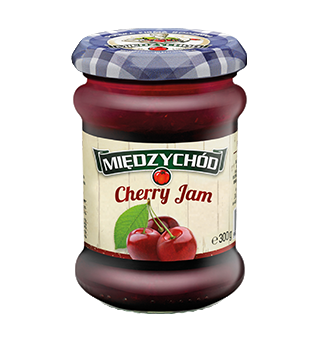 We boast one of the most modern production lines in Poland. 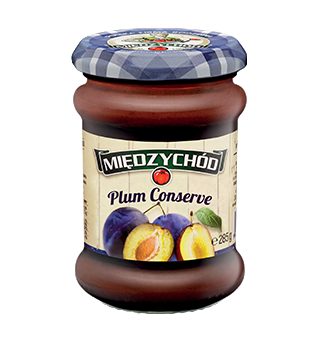 and preserves based on the local food processing tradition. For years, these popular flavours will bring back food memories that we miss so much. While our lives have changed, becoming more hectic and intense, we still can enjoy these flavours and several minutes upon heating the meal up, at that. 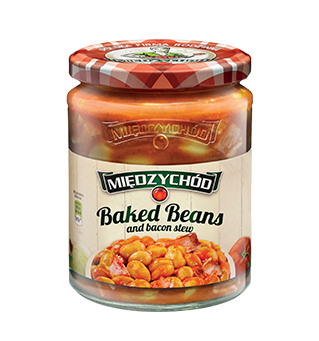 This meal offers a trip to the past; it took the Polish cuisine by storm such a long time ago that it would be hard to imagine it without the baked beans and bacon stew. 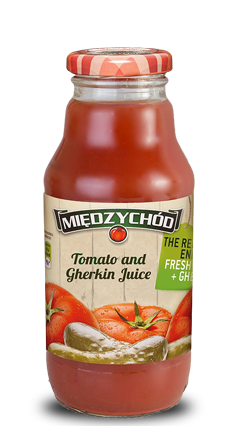 A nutritious meal with exquisite Polish tomatoes from the local fields. A matchless taste! 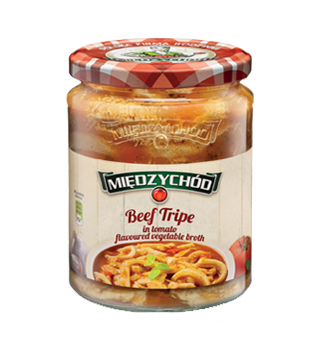 Ideally spiced beef tripe, a combination of fresh vegetables and aromatic herbs… Really worth trying! Ladies and gentlemen… this idyllic flavour can make your head spin. 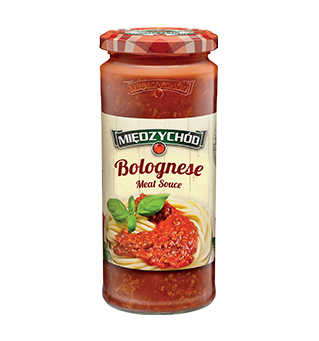 High quality meat topped with a velvety sauce made from ripe tomatoes. 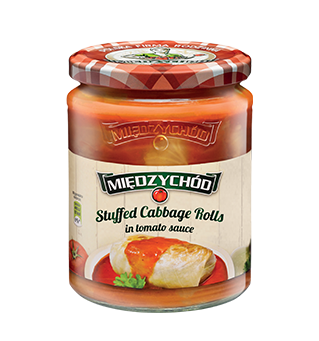 By resorting to the local tradition of food processing, we have prepared for you one of the most popular Polish flavours cherished for centuries in many households. 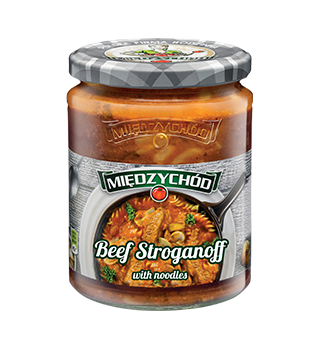 7 new meals with unique flavours from numerous vegetables, top quality meat and spices. This is an excellent, balanced meal for anyone, any day. You do not need to take our word for it, just taste them! 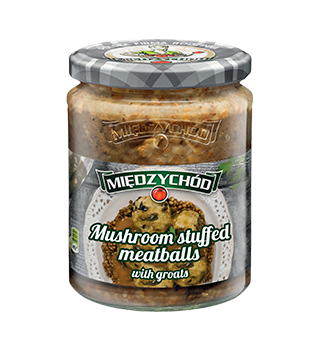 The meatballs owe their exceptional flavour to high quality pork meat, the very nutritious buckwheat and aromatic wild mushrooms. 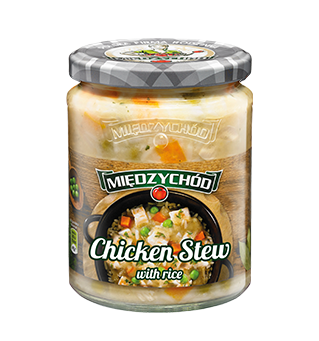 Temptingly tender chicken meat in the form of a nutritious stew with brown rice accompanied by aromatic vegetables. 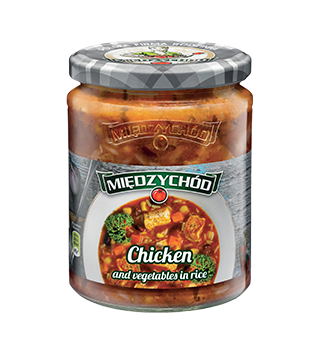 A delicate chicken filet in an exquisite combination with brown rice and fresh vegetables. It owes its unique flavour to white wine vinegar. 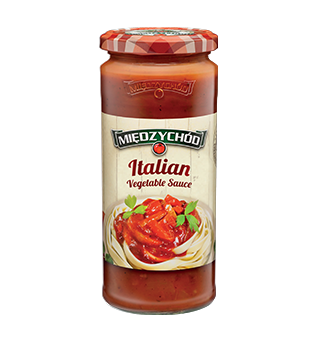 An exceptionally diverse medley of vegetables including tomatoes; a balanced, low-calorie and rich meal of high nutritional value. Perfect food. 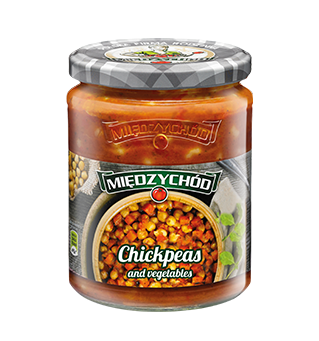 A balanced albeit meatless meal starring tasty chickpeas extremely rich in nutrients, offering a wide range of flavours. A rich meal based on exquisite bullion made from top quality beef meat, aromatic vegetables and durum wheat pasta. 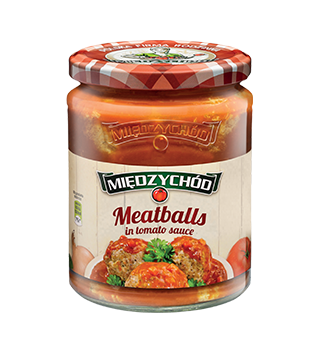 For consumers who appreciate strong foundations of distinct flavours, who stay open-minded and have an appetite for more. This is a basis for preparing your favourite meal. 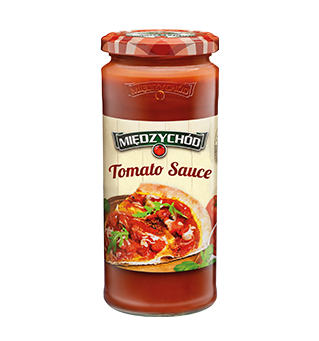 A mixture of the right varieties of tomatoes, with carefully selected pork meat and natural spices – a tasty addition to numerous meals. Made with fans of simple and distinct dishes in mind. The tomato base, vegetables and Mediterranean spices will be appreciated by lovers of Italian cuisine and others. 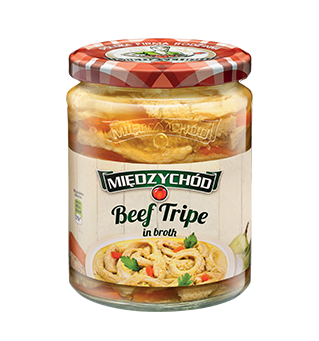 A thick, intensely flavoured and multi-purpose sauce. 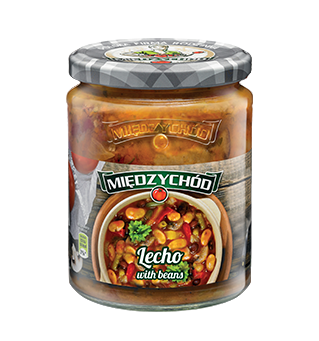 An original combination of the flavours makes it a perfect starting point for many dishes. It offers an opportunity to prepare a meal quickly and easily. 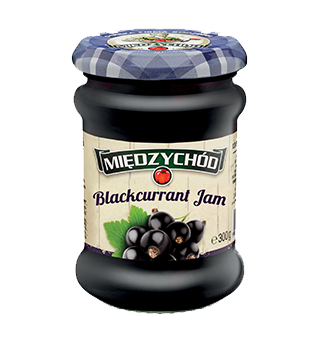 It is an additive which ideally highlights the flavours of many meals, irrespective of the occasion. 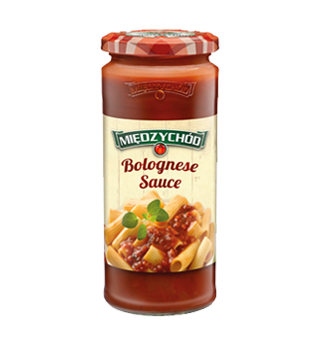 Bolognese sauce adds a unique flavor and perfectly complements with many popular dishes. 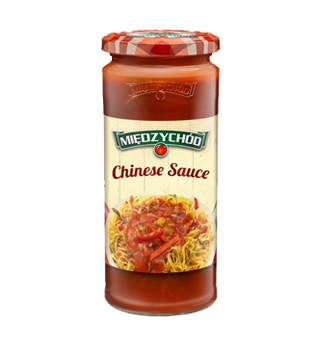 Our sauce with high content of many vegetables and spices will surprise many fans of Asian delicacies. They are definitely different with respect to the way of preparation, the ingredients and the taste. Thick, velvety and aromatic – simply unrivalled. 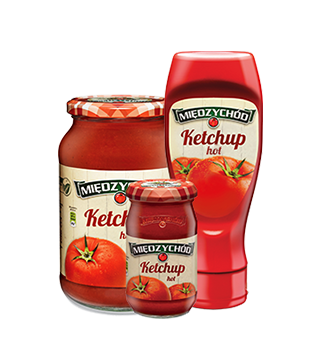 A unique recipe, an extremely thick, purée-like texture and a deep colour make our ketchup’s taste truly unique. 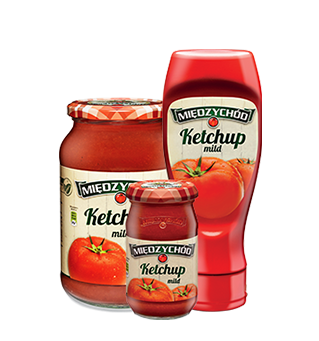 A rich blend of healthy, ripe tomatoes and tasty vegetables results in the ketchup’s distinct flavour and unique nature. This unmistakable taste is worth succumbing to the temptation. 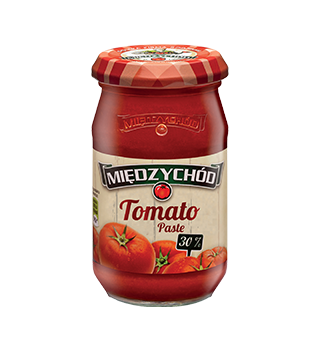 An essence of flavours and health, the tomato paste maintains the values and ingredients of fresh tomatoes. 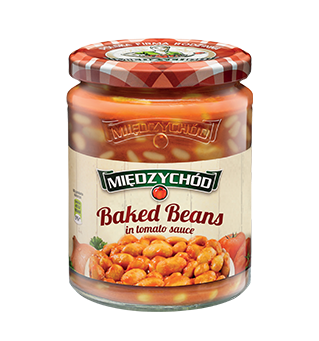 Excellent for soups, sauces and dinner meals. There are things hard to resist, among them the flavours we love since we can remember. There are sweet moments of relaxation ahead of you if you only give in to the temptation. The quality of the fruit, the recipe and no preservatives: a childhood memory recalled. 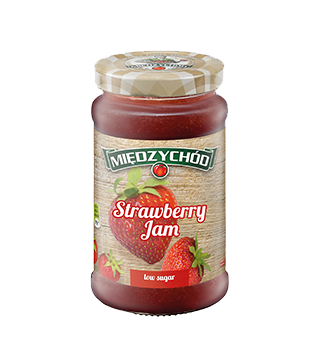 The flavour of an idyllic summer stands for the flavour of ripe and sweet strawberries. 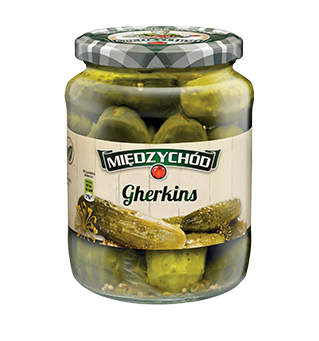 We have enclosed them in a jar so they can be enjoyed all year round. Fine, full of fruit and a genuinely deep aroma. Likely to satisfy even the most fastidious consumers. 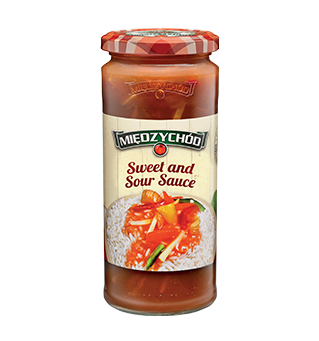 The naturally extracted, tasty sweet and sour taste will excite many palates. 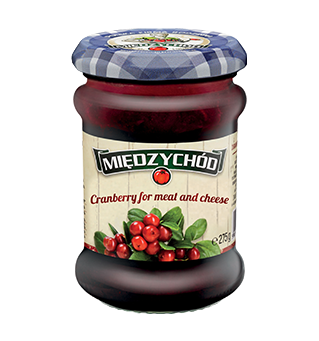 Cranberry can be used in many ways and as such it frequents household tables as a tasty and healthy additive. 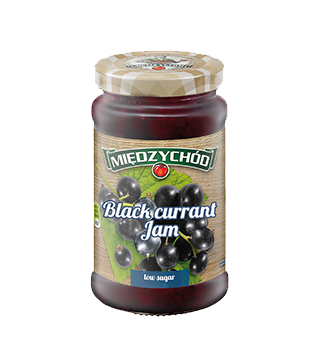 Especially for you we have closed black currants in a jar, which are not only mouth-watering fruit, but also an excellent source of vitamin C.
Cherries are one of the most respected and popular fruit. 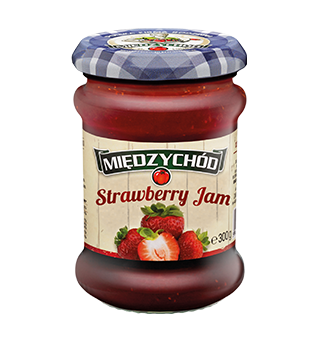 Summer is the season to strawberry, which are loved by most of us, but thanks to our jams you can enjoy your favorite flavor throughout the year. So little can make such a huge difference … When taste is concerned, we can find the best by combining distinct spices and ensuring a unique flavour of each bite. Jarred in unique-tasting pickle. 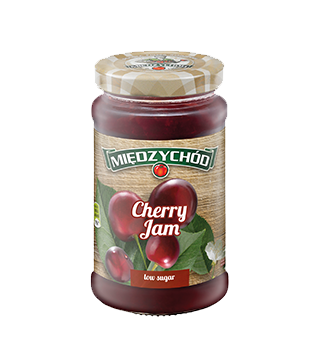 Served as an ideal additive to many dishes or as a light snack. 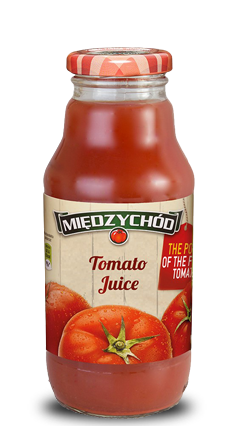 The numerous nutrients in tomato-based juice serve as valuable dietary supplements. When drinking tomato-based juice, we can relish the taste, at the same time providing our body with healthy energy. The refreshing taste that comes from the combination of fresh tomatoes and pickled cucumbers will quench any thirst. This is a truly unique blend of flavours! Our very healthy juice offers a delicious taste and satiation for a long time. The secret is in the freshly sieved tomatoes used instead of tomato paste!